No one email strategy will work for every chamber. Therefore, it’s important to understand which types of communications and cadence work best for yours. Companies who excel at personalizing emails are successful because they have defined – with the help of data – member segmentation to create profiles allowing them to deliver relevant communications that recipients want to read. On a side note: with a good AMS system in place, segmentation and personalization should be part of the platform. Member Feedback - Asking members for their input can be the best way to foster engagement and understand what kind of communications they prefer. 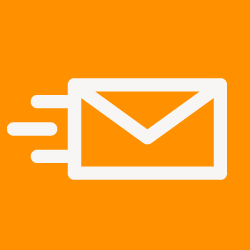 On average, feedback emails receive a 19% read rate. Loyalty - These emails are a great way to acknowledge milestones, like membership anniversaries. This type of tone may not be useful in every you send, but for emails, using a conversational tone has proven to give emails a more personal feel, providing a genuine interaction between members and the chamber. Whatever your approach with email campaigns, it's important to know your audience, and test keywords and phrases to see what they prefer. Hint: For even better results, try pairing your “It’s time to renew” emails with a direct mail piece repeating the message. With paper, there is some type of action required by the recipient. They must scan the piece to decide if they want to keep it or throw it away. Direct mail is one way to overcome the oversaturated email inbox if you don't see the results you want digitally.